Will the continuous light version of RingMAXX fit strobes as well? Yes! The only difference is the material. The continuous light version is designed to withstand higher temperatures but will work perfectly with strobe as well. However, you should not use hot lights with the strobe version as that could cause a hazardous situation. 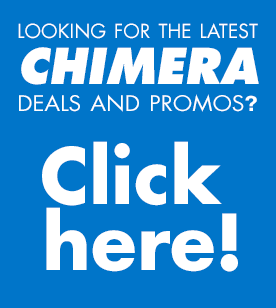 https://chimeralighting.com/wp-content/uploads/2017/08/chimera-lighting-logo-copy.png 0 0 Chimera Lighting https://chimeralighting.com/wp-content/uploads/2017/08/chimera-lighting-logo-copy.png Chimera Lighting2017-02-21 13:36:282017-07-03 13:35:46Will the continuous light version of RingMAXX fit strobes as well?